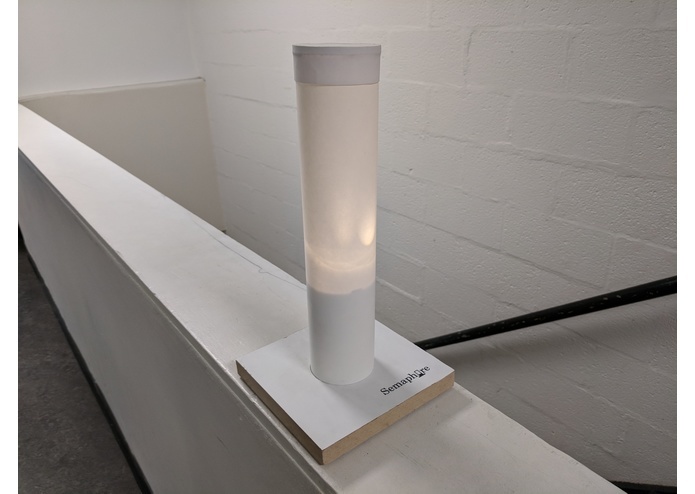 Semaphore uses a capacitive sensing technique that uses ambient radio waves to determine the presence of people. As persons enter the useful range of a Semaphore lamp, it detects a sharp increase in the local capacitance. Using the pattern of capacitance flux, Semaphore can effectively guess when people are coming to turn on. More importantly, it can detect when everyone has left, so that it can immediately turn off when not in use. This way, semaphore can save much more energy than ordinary motion sensitive lamps. 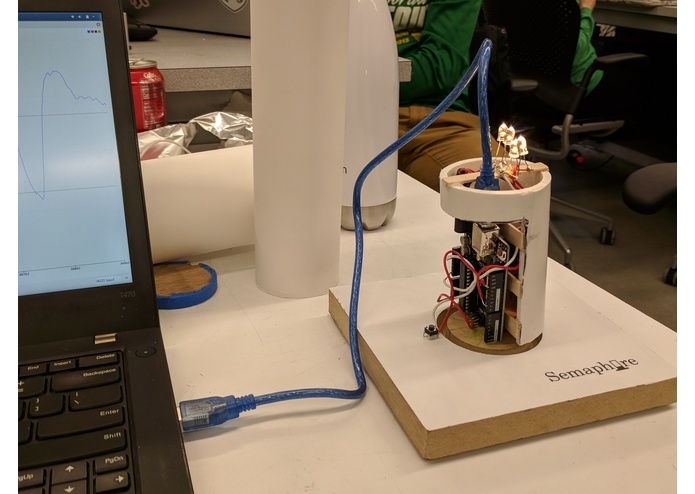 This prototype is entirely battery powered and consists of an Arduino and an antenna in a consumer-friendly container. In future work, the same technology could be expanded to include full-room sensing. This data might also integrate into the next Home automation IOT device.